Everything has a culture. Your life has a culture, your marriage, your home, your business, our churches have a culture… If you’re a leader, it is you who sets that culture. Over the years I have been repeatedly asked the question, “How do you guys build such a strong culture?” When Bobbie and I began Hillsong Church more than 30 years ago, we didn’t set out to build a particular kind of culture. Back then, there was no one else to sweep the floor after the service, or open the door and welcome others or pick up people to bring them along to our church. We had to BE the culture. And that is what I have discovered – You cannot build the culture unless you are prepared to BE the culture. One of the things that hinder building can-do people is when we live by experience. No innovation, creation or new thing, is ever born out of experience because experience only tells us what either has or hasn’t been done. But when you live with a can-do mindset, it’s amazing how you can find a way. We are saved for a purpose, we are called for a purpose we are graced for purpose; it’s all about God’s purpose. When we live called, what we do is a calling, not just a job. Jesus talked about the spirit of hirelings in John 10:11, 13. He said, “I am the good shepherd. The good shepherd gives His life for the sheep.” He goes on to say that he who is not the shepherd, one who does not own the sheep, sees the wolf coming and they are out of there. That’s the spirit of a hireling; they are just there to do a job, make some money, get on to the next thing. If you are a pastor, be careful not to look around the world for someone who is the best or most skilled. Build from within – from those who are planted in your church. A hireling spirit won’t stand with you when tough times come. But those who live saved and called for a purpose are there in the good times and the bad times and everything in between. The same goes for business people. Build INTO your people, raise them up and give them a vision for the long-term. Imagine if Jesus said to God about going to the cross, “Do I have to? How long do I have to stay up there? Do they have to use nails?” Aren’t you glad that wasn’t the spirit of our Saviour? If you try to build around people who think in minimums, that’s what you end up getting. The Bible says that the mouth of the righteous is a well of life. Is your mouth a well of life or a sewer of defeat? Scripture also says that the mouth of the righteous feeds many. So if the people around you are depending on your words for nourishment – are they dying of malnutrition or are they thriving? I’m thinking about ‘them’ and ‘us’; them may be THE bosses, us are the workers. Them are upstairs, us are downstairs. Them and us. Then they come to work the next day and during the day they get that issue worked out and talked through – it’s gone and everyone moves on – but they don’t resolve the issue at home. They go back to work and sort it out and the cycle repeats itself over and over. I have never been a fan of compartmentalising our time. It’s not God-time, then church-time and family time. I don’t think we need to box our lives like that. If you have wisdom you can obviously serve God, love the church and bring your family along on the journey with you. But if you keep dumping resentment at home, you set them up as enemies of church time. Use wisdom when it comes to what you ‘bring home’. No matter whom you are, the moment we think our part is bigger than what we are a part of, it begins to destroy culture and bring separation. I often think about Barnabus and Paul. They had a bit of a falling out, and Barnabus left – we literally never hear about him again. Don’t forget that God anointed both Paul and Barnabus. If you are unteachable or can’t easily be told or taught, you will drift away from what God has for you. The devil loves to get people to separate from the thing they are part of – often with tragic results. 9. I Delegate, but I don’t ‘Dump’. The most difficult personality to locate when it comes to dynamics on a staff are the people who are wonderful upwards – nothing is too hard and there’s nothing they wouldn’t do for their boss. But when it comes to carrying out their instructions, they just offload it onto others. Dumping and delegation are not the same. Dumping doesn’t consider the other person’s world or the other responsibilities they may have. This is one of the most caustic things to happen on a team. Dumping onto others undermines culture and is the hardest thing for a pastor or boss to recognise. Let’s be respectful of others’ time and their responsibilities, and know the difference between delegating – which is positive – and dumping. This is nothing to do with facial features, but everything to do with our spirit. Mean-spirited, angry, judgmental and legalistic people; if they looked at their own spirit, they’d realise these attitudes give no grace and fail to understand Jesus’ finished work. I cannot stand that kind of ‘ugly’ Christianity. Take a risk and create a culture that defies what is ordinary; one that is marked by personal discipline, a different spirit and a different heart – a culture of love and servanthood that prefers others. Keep your habits and those of your team on track. We can build a church or a business, but if we don’t build a culture we cannot build anything that lasts. Brian C. Houston is the Senior Pastor and founder of Hillsong Church globally. 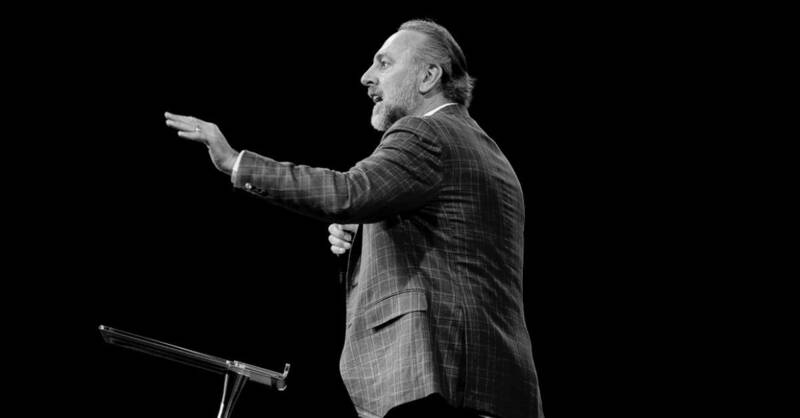 For more leadership content from Pastor Brian visit BrianCHouston.com. For more articles from the Hillsong team visit hillsong.com/collected.